A very classical CV format, but also very original in the way of presenting the skills and interests. A very nice highlight of experiences in addition to that! 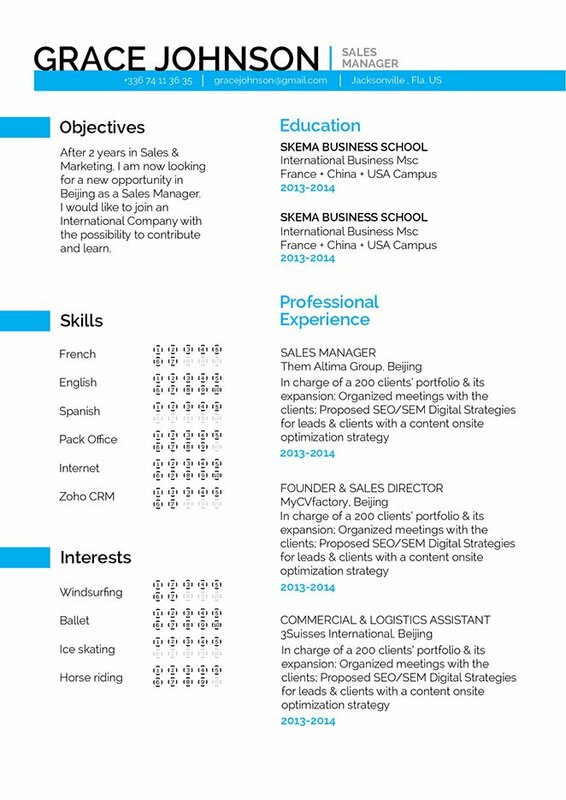 CV template to download "Consequential"
The Consequential Resume perfectly presents all your past work experience and skills thanks to its classic, yet functional CV format. This professional resume template uses a great selection of colors, graphics, and texts that bring about a resume design perfect for any type of job applications as all your key information is made readily available to your potential employer. This is further added upon by a pleasing choice of colors and style, which is sure to grab the attention of any reader! One of the major factors that make your resume effective is how clear, detailed, and simple it is designed. If you list down your interests, past experience, and skills in a well-organized layout, that dream job is sure to be yours! It’s all about formatting, having the resume itself guide the reader’s eye into what you want them to read. A typical resume isn’t read thoroughly the first time a recruiter reads it—in most cases, it only gets scanned for 10-30 seconds. So use professional fonts (Seriff or Sans Seriffs), add some bold/ italic font style to guide the reader along your resume with ease. 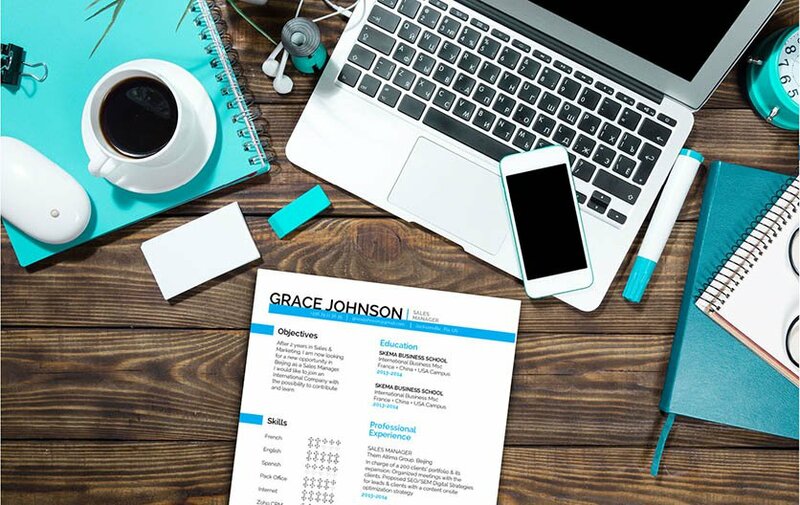 Bullets and graphics bring emphasis on key information of your CV, while the use of headings and subheadings give your resume a logical format that is easier to follow.